Like a Pride of Jaguars, a group of women cricketers from Canada and the USA will transform into predators in search of prey this weekend in Ontario, Canada. 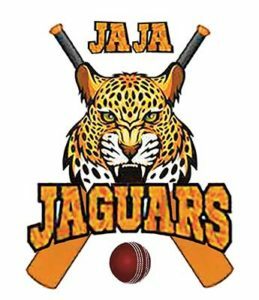 The combination group of players from the USA and Canada, aptly named JAJA Jaguars; after searching for a name for the team, decided on the initials of the two principal organizers, Julie Abbott (CanAm United) and John Aaron (Atlantis Cricket Club – NY). The JAJA Jaguars includes three USA national players and feature a few cricketers new to the women’s cricket circuit in Canada and the USA, but who are very familiar with the sport of cricket. The inaugural women’s T20 tournament billed as the Canada Day Cricket Cup 2018 will take place June 30-July 2 at the Ross Lord Park, in Toronto, Canada, and hosted by Tranzac Cricket Club, Toronto District Cricket Association (TDCA), Alberta Strikers Cricket Club, Cricket Ontario. TDCA is the largest cricket league in Canada. The tournament will feature four teams, including the JAJA Jaguars, Alberta Strikers, with players from Edmonton, Fort McMurray and Calgary, and two Cricket Ontario XIs, comprising players from Toronto and the Greater Toronto Area. Each team will play three matches in a round-robin format, with the two top teams facing off in the championship final and the remaining two playing for third-place. Here are player profiles of some of the players on the JAJA Jaguars squad, and in no particular order. No stranger to sports, Delkash has competed at the State championship level in India in track and field and basketball. An admirer of Marizanne Kapp, the South African women’s all-rounder, Grace is musically talented, playing the guitar, piano and bass drums. Sonali Vig Chandok, is a middle-order batswoman who was born in India and has represented the India A team against New Zealand. Playing cricket for two decades, Sonali brings a wealth of cricketing experience to the JAJA Jaguars having played in the West Zone, Mumbai, Punjab and Western Railway tournaments. In addition, she has worked in Mumbai as a professional Level A cricket coach for school clubs and the Mumbai Cricket Association. Sonali’s most admired cricketers are Mahendra Singh Dhoni for his cricketing acumen, tenacity and fitness, and Mithali Raj for her determination, work ethic and leadership qualities. The right-arm off-spinner is anxious to share what she has learned playing alongside female cricketers like Diana Edulji, a former Indian Woman Test cricketer and a player considered to be the greatest Indian woman cricketer of all time, and Sandhya Agarwal, another Indian women’s crickete great who was born in the same City and State in India as Sonali – Indore, Madhya Pradesh. Current a USA national and Atlantis Cricket Club – NY player, Sugetha Chandhrasekar is an all-rounder who prefers to bat in the middle-order, but can also provide pace and spin bowling. The all-rounder has been playing backyard cricket since her childhood, and never received any formal cricket coaching advice until she was 14 years old. 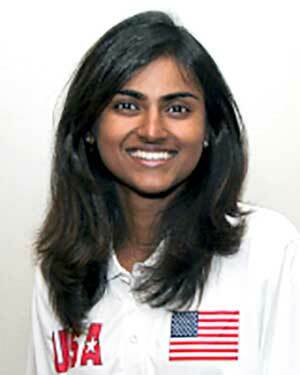 The now 27-year old has represented Tamil Nadu State and most recently the USA national women’s team in Australia. The Chennai, India cricketer describes cricket as a complex and addictive sport, and that’s the reason she loves it so much. Sachin Tendulkar and MS Dhoni are two of her favorite cricketers. Asked to describe one thing she would share with her teammates and the public, she replied, “I get quite competitive when people underestimate me.” Enough said! Laura Jones was born in Canberra, Australia, and as such is no stranger to the sport of cricket. Now in her third season as a cricketer, the middle-order bat has represented CanAm United and Meraloma Cricket Club in British Columbia; a part of the largest amateur sports club in Canada. A right-arm medium pacer, Laura admires Ellyse Perry for the player’s great attitude and being such a fantastic role model for younger players. Asked why she likes cricket so much, Laura said, “The sport is a great combination of tactical details, varied athletic requirements, and specialized skills.” Laura loves artichokes and admits to being bad at arithmetic. The JAJA Jaguars is however counting on Laura, and not to choke. Having played gully cricket as a child, then hard ball cricket in college, before taking a 15 year break from the sport, Tanvi Vaidyanathan, a right-arm medium pacer and lower-middle order batswoman, has represented Madras University at cricket, as well as her Tamil Nadu District team, before playing in British Columbia and for CanAM United. 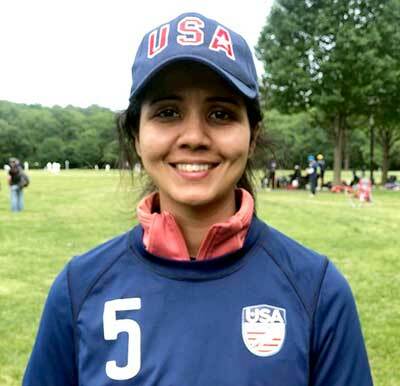 An admirer of South African Marizanne Kapp, Tanvi started playing cricket, “…to prove to the boys that, girls can play cricket too.” Addicted to the popular TV show Gilmore Girls, The Chennai born Tanvi admits to watching every episode at least once every year. A native of Trinidad & Tobago and a huge fan of the world-renowned cricketer Brian Charles Lara, Chelsea Douglas started playing cricket at age 19 and has represented the twin-island Republic of Trinidad & Tobago at the Under-23 level in women’s cricket. We will be looking to see if she can channel the stroke playing of Brian Charles Lara in this weekend’s tournament. Watching cricket games and playing backyard cricket is what inspired Kishani James to pursue the sport. A right-arm medium pacer and a right-handed middle-order batswoman. Kishani, born in Sri Lanka where cricket is of course very popular, so it was hard for Kishani to avoid playing the sport. She has represented Meraloma women’s team in Vancouver, Canada and says she’s pretty new to leather ball cricket. 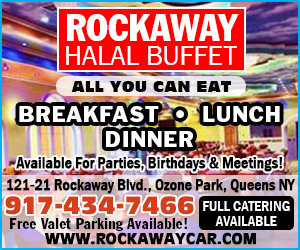 However, with inspiration from renowned players like former Sri Lankan skipper Sanath Jayasuriya, one of her favorite players, how could she go wrong? The Sri Lanka native is goal-oriented and says, “My goal this year was to represent a team in professional cricket. I am on the verge of crushing that goal by taking part in the Canada Day Women’s Cup. We hear you Kishani and know you are even closer than you think. From Buffalo, NY comes Jyotsna Dixit who has been playing cricket for as long as she can remember. Buffalo may not have much in terms of cricket happening in its neck of the woods, more so women’s cricket. However, that did not deter Jyotsna from seeking her own opportunities to pursue her love of the sport. She hooked up with the University of Buffalo cricket squad and has also been involved with the Scarborough Cricket League for the past two years. With a voice that’s as silky as liquefied gold, Swati Mishra has already established herself as a Bollywood singing sensation with her own YouTube channel. However, the right-arm opening medium pace bowler’s passion for cricket is fast earning her a reputation off the singing stage. Swati’s favorite cricketers are Zaheer Khan and Sachin Tendulkar, and she’s not shy to admit that she is a professional Bollywood singer and whose You Tube Channel is one of the Top 10 most viewed YouTube channels in all of India. A feat accomplished within the first six months of it being launched. No ordinary feat. We anxiously await what she does with the ball on the cricket field. She grew up playing tennis, representing her school at the Central Board of Secondary Education (CBSE) Nationals in India. Ritika played tennis for about eight years before moving to the USA in 2014. The recent convert to leather ball cricket admires Indian cricket star MS Dhoni, and admits that in cricket, she loves, “the team spirit generated by the sport, as compared to an individual sport such as tennis.” The health and beauty industry entrepreneur is also a mental health advocate and a big Bollywood movie buff. Born in Kolkata, India, Kiruthika Subramanian was interested and coached in cricket since age six, with the encouragement and support of her parents. The right-arm medium pacer represented her native India and was selected for the 2000 Women’s Cricket World Cup in New Zealand. Primarily an opening bowler, Kiruthika usually bats three down in the order. 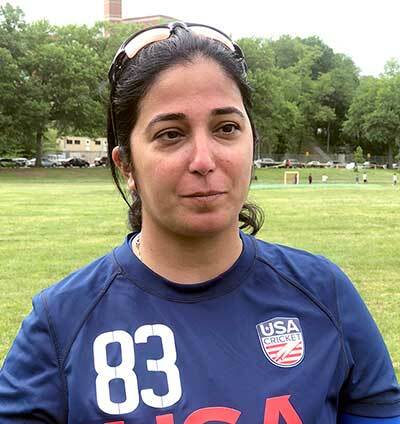 A right arm medium pace bowler Juhi Patel played nationals in India while in the 9th Grade and was selected to play with an English County club, however, she migrated to the United States and thought her dream of ever playing cricket again was over. An admirer of Sachin Tendulkar and Mithali Raj, Juhi suffers from asthma, but that has not deterred her from playing cricket with a full heart.